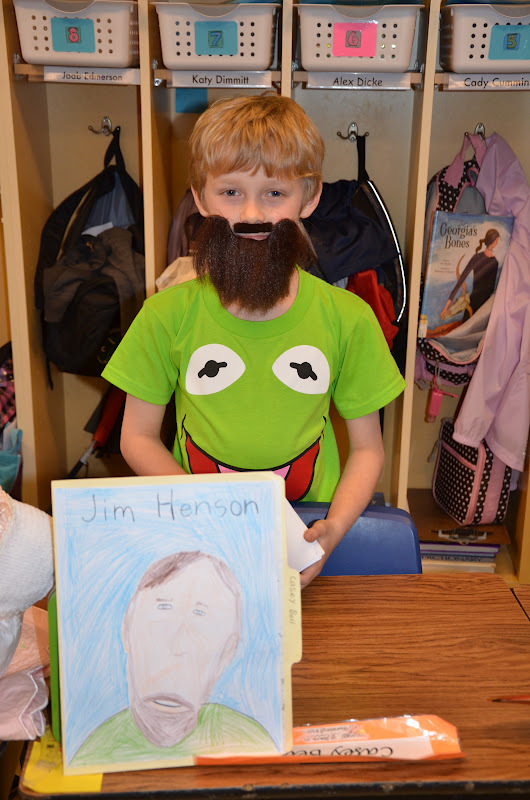 My youngest son, Casey, did his biography report on Jim Henson. He was soooo nervous and excited about his report and is sad that it is over. That is one cute Jim Henson! I just gave you an award! Come over to my blog to check it out!! Adorable! He looks so proud!! OMG he looks too cute!! I just left you an award! Come check it out!